The Long Island Sound Catalina Association (LISCA) is comprised of sailors in the Long Island Sound area that presently own or previously owned Catalina cruising sailboats. 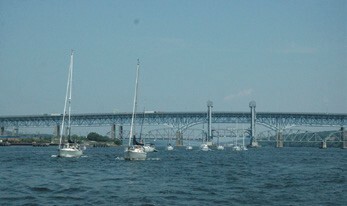 Members, with boats ranging from 25 to 47 feet, reside on Long Island, in other parts of New York, in New Jersey and throughout Connecticut, with boats harbored in many ports on Long Island Sound. The focus of LISCA is on shoreside social events during the winter and cruising events during the summer. The shore events tend to be located in western Connecticut, within easy reach of members by car, while the cruising events tend to be in one of the many harbors of Long Island. LISCA owns three moorings, one each in Port Jefferson and Northport, NY and Stamford, CT, and has applied for moorings in three eastern locations. 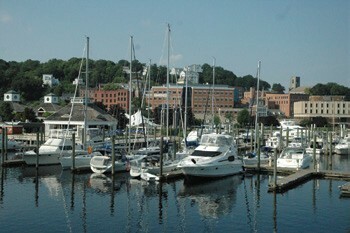 Among the highlights of the summer is the association’s two-week cruise to ports in eastern Long Island, eastern Connecticut, and further to the east. At the recent LISCA annual meeting, members recapped the 2014 season and discussed plans for the 2015 season. This winter’s events include a welcoming potluck supper for new and prospective members in January at a member’s home in Trumbull, CT, and an early afternoon dinner meeting at a waterfront restaurant in Stamford, CT. New and prospective members are welcome at these two events, but please visit the LISCA website first and call ahead to let the host know you are coming. Spring will be welcomed at a member’s home in Norwalk, CT in April, followed by a gathering of members in what is commonly called Conscience Bay in Port Jefferson Harbor during the Memorial Day weekend, which will have a hot dog roast/potluck dinner on the Sunday afternoon. In early June, many LISCA members venture to West Harbor in Oyster Bay for dinner on the beach adjacent to the St. Gertrude’s carnival, and to City Island and Liberty State Park in late June. 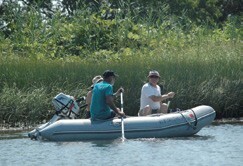 The July Fourth weekend offers another opportunity for a raftup, with many boats again returning to Port Jefferson. The summer cruise is still in the planning stages, but is likely to begin in early to mid-July and venture to harbors around the eastern end of Long Island Sound and Rhode Island. The 2014 cruise went as far east as Provincetown, MA, where members saw Mystic Seaport’s whaleship Charles W. Morgan sailing during her historic 38th Voyage. LISCA has had an August rendezvous at Northport Yacht Club in Northport, NY for many years, at a time when many Northport YC sailors are away on the club’s summer cruise, and another one is planned for mid August. LISCA will also have a lobster bake on the beach at Port Jefferson during our Labor Day weekend raftup. The final events for 2015 include a visit by car to the U.S. Sailboat Show in Annapolis, MD, and the LISCA annual meeting at a member’s home in Milford, CT.
For more information about LISCA, visit sailLISCA.com. We look forward to meeting the owners of other Catalina sailboats during our 2015 events.